Terletak di kawasan yang indah di Zell Am See City Center, Hotel Grüner Baum menikmati posisi megah di hab berjalan-jalan di Zell Am See. Dari sini, tetamu boleh menikmati akses mudah kepada semua yang bandar meriah ini boleh tawarkan. 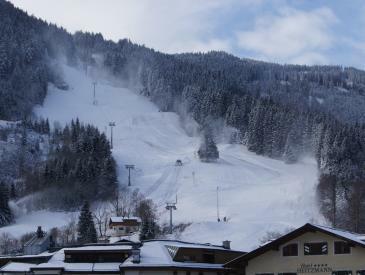 Pelawat yang datang ke hotel boleh melawat tarikan utama di bandar ini seperti: GC Zell am See-Kaprun. 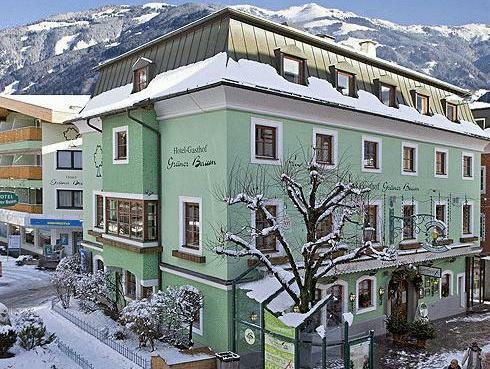 Hotel Grüner Baum juga menawarkan banyak kemudahan untuk memperkayakan penginapan anda di Zell Am See. Ketika menginap di hartanah yang indah ini, para tetamu boleh menikmati Wi-Fi percuma dalam semua bilik, simpanan bagasi, tempat letak kereta, pemindahan dari/ke lapangan terbang, pusat perniagaan. Tetamu boleh memilih dari 65 bilik, semuanya yang akan memberikan suasana ketenangan dan keharmonian. Hotel ini menawarkan banyak peluang rekreasi yang unik seperti sauna, padang golf (dalam jarak 3 km) , meluncur ski, urut, meja billiard. Nikmati perkhidmatan yang sukar ditandingi dan lokasi benar-benar berprestij di Hotel Grüner Baum. Very enjoyable hotel, only issue was that it was very hot so supplying a fan in the room would have been good, although I mentioned this the next day and apparently a fan was available it would have been good to have it actually present in the room rather than having to ask. Also as this is an area where people are very active, it would be good if there was a washing machine available for guests to use. I booked a single room for 4 nights (via two bookings), but there a mistake in the system so one of the nights wasn't available. The hotel staff is very kind to upgrade me to a double room for all my stay there. 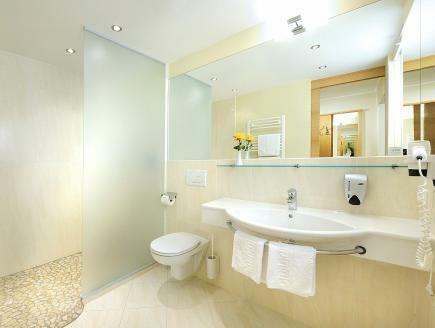 The hotel room is very clean and tidy. Breakfast has a lot of varieties given the small charge of 10 euros (value for money). Also, the hotel staff is very helpful in terms of giving directions and providing recommendations. One thing I am impressed is that they treat each guest as a friend, they remember your name, your preference of coffee or tea, etc. Basically it's a wonderful stay and I will definitely stay there again if I go back. location was really great and at the central of zell am see.. there was a free parking.. but the houskeepong you have to pay 25 euro daily. One thing I didn't like that I stayed in a flate not in the hotel and they charged me a cleaning fee which was not mintioned when I booked the room! This hotel punches above its price point. The rooms are comfortable and up-to-date, although it can be noisy with the window open as it faces the main shopping street. The staff are friendly and attentive. The restaurant food is above average. Free parking and Internet. Hotel Gruner Baum was perfect for our stay. We were in the centre of restaurants, cafe's, shops and bars and only minutes walk to the lake and the bus and train stops. Замечательный отель! Заселили досрочно без доплат. Отличные большие номера со всем необходимым. Прекрасный завтрак, так же могу рекомендовать и ужин в их ресторане. Очень близко до InterSport с прокатом снаряжения и подъемником на гору. Есть бесплатная хранилка для лыж. Бесплатная сауна (правда, работает она почему-то только до 20:00). Два шага до озера. Прекрасное расположение, прямо в центре городка. Смело могу рекомендовать этот отель! Мы жили три года в подряд в отеле Святой Георг . Там конечно круче и дороже . Нас было 14 человек . Всем понравилось пребывание в отеле Зеленое Дерево . Берите его и бронируйте . Хороший отель не пожелтеете .